Walk among pastures ablaze with Alpine wildflowers and you may never dream of hot, overcrowded beaches again. 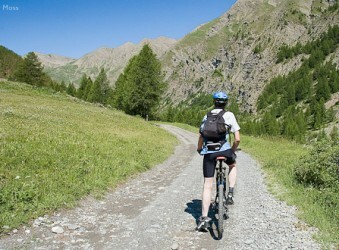 Even more beautiful in summer, the mountains are a great destination for a relaxing, active summer holiday. We'll be adding more destinations soon. Today more people than ever before are heading to the mountain areas of France for summer holidays. 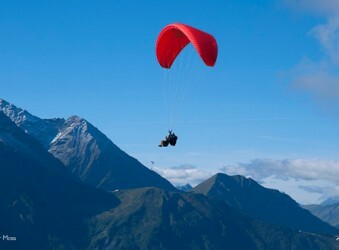 Enjoy a whole range of activities from walking and mountain-biking to via ferrata and hang-gliding. A walking tour of the Beaufortain by guide Mark Tennent. 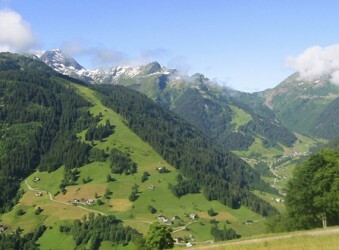 A route in an area known as Little Switzerland for it's remarkable scenery. 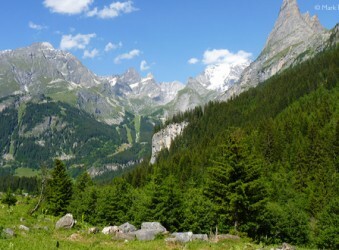 Mark Tennent from Simply Savoie describes a walking tour of the Vanoise National Park, a route sometimes known as the Tour des Glaciers de la Vanoise. In France via ferrata have become very popular with those in search of sporting activity, and there are via ferrata to suit all tastes and aspirations. 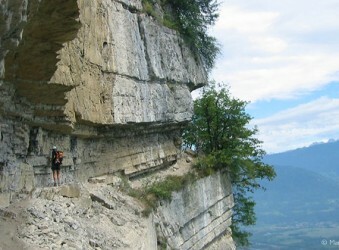 Journey on some truly amazing roads, created at enormous cost during the last century in the very heart of the Vercors. When holiday crowds are jostling for position beside the Mediterranean or simmering uncomfortably among the tourist hotspots inland, in the Alpes d’Haute Provence things can be refreshingly civilised. In the high alpages beside Mont-Blanc we go in search of an award-winning producer of Beaufort, one of the most highly-prized of all mountain cheeses. Check out the latest super summer deals from tour operators and mountain resorts, plus the best value travel to the mountains. Here we let you know about innovations that we think might interest our readers - activity pass deals, WiFi resorts, summer events etc. Latest property releases, trends in investment, focus on developments, property buying guides. Today more people than ever before are heading to the mountain areas of France for summer holidays. At altitude things are cooler, cleaner and more natural – perfect, in fact, for a whole range of activities from walking and mountain-biking to via ferrata and hang-gliding. The recent revolution in on-mountain accommodation means that you can now expect real quality and comfort, too. One of the most popular water sports in the mountains, canyoning attracts more and more people in search of splashing adrenaline. 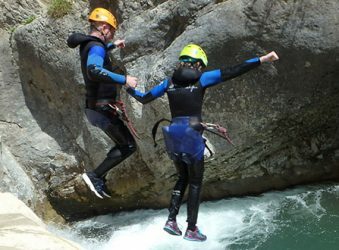 Specialist activity company Undiscovered Mountains introduces the exhilerating and increasingly popular sport of canyoning. 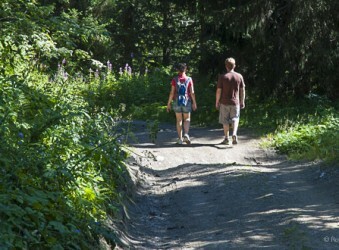 People of all ages can take part in summer or winter with a knowledgeable local guide. 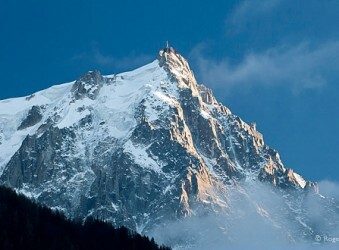 Riding the world's greatest cable-car, from Chamonix up to the Aiguille du Midi. A walking tour of the Beaufortain, a route in an area known as Little Switzerland for it's remarkable scenery. Once a key route for military supplies, the Route du Parpaillon is popular for walkers and cyclists and offers stunning mountain scenery. 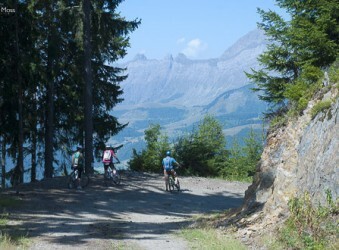 You don't have to pedal up a mountain to enjoy real mountain-biking, as we discovered at one of the French Alps' most popular activity centres. 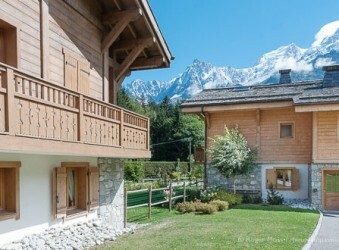 Chamonix is the perfect solution for friends. No matter what time of year you are planning your getaway, when it comes to catering for larger groups with different tastes and expectations, Chamonix certainly ticks every box. 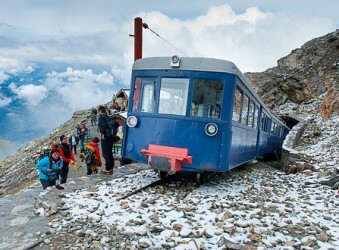 The legendary Tramway du Mont-Blanc, Le Fayet and Saint Gervais to the Nid d'Aigle. Increasing numbers of visitors are discovering that summer at high-altitude offers so much more than two weeks lazing on a beach. 10 of the best summer activities and things to do in the mountains. 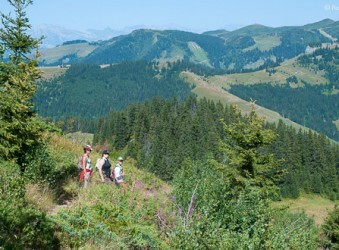 The Beaufortain is perfect for relaxed Alpine walking holidays with gentle trails over pasture and through forest with stunning scenery all around.